The Valley Land Fund, Inc. 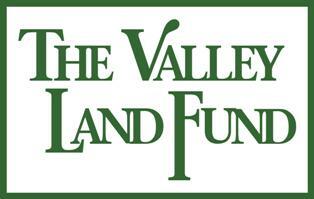 The Valley Land Fund is a South Texas based non-profit organization working to conserve land. Land trusts date back over 100 years and are a vital part of local preservation efforts across the country. In Texas there are dozens of land trust that together have conserved over 1.6 million acres of forest, wetlands, deserts, coastlines, hills and prairies, farms and ranches. VLF was founded in 1987 by a small group of Valley business men and women who had a vision preserving, expanding, and enhancing native wildlife habitat in South Texas for the benefit of current and future generations. The Valley Land Fund is the only land trust south of San Antonio – an ecosystem referred to as “The Last Great Habitat”. For 30 years, Valley Land Fund has worked to prioritize successful, worthy and vital conservation projects. Our children will determine the future of our natural resources. Therefore, it is imperative that we continue to do all that we can to educate and put forth the effort needed to continue our good deeds towards the continued existence of our natural habitats. We are a fortunate land trust in the sense that we are positioned at the epicenter of the World Birding Centers and Butterfly Gardens, from Laredo to South Padre Island. The Rio Grande Valley is also home to ocelots, sea turtles, dolphins and a countless variety of wildlife. All these creatures need a home and our job requires us to inspire a new generation to help protect the land we so love and treasure.